It was declared national park in 1985. It is the 7th national park in Croatia. Most of the park’s Eco-system has remained unchanged. 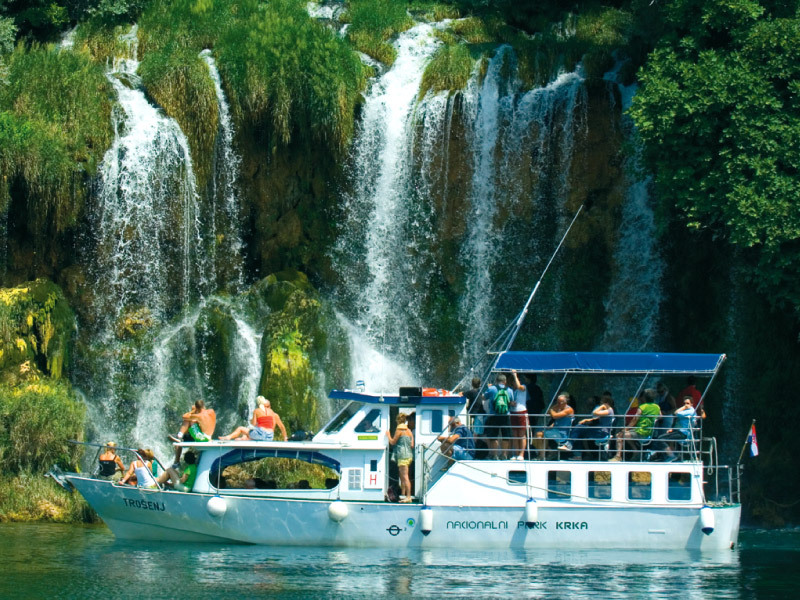 The Krka river springs from the Dinaric mountains, and the water flows noisily through some twelve spectacular cascades. Wooden bridges on the paths by the river offer a magnificent view of the waterfalls. That area represents only one part of the national park that covers approximately 109 km2. Among different ancient buildings, there are also ruins of the cloister with its well, the church in Byzantine and Renaissance styles, as well as a rich ethnological collection.